Buying a home that needs a little TLC is a great way to develop an investment quickly, but there are varying degrees of “TLC” that you should consider. 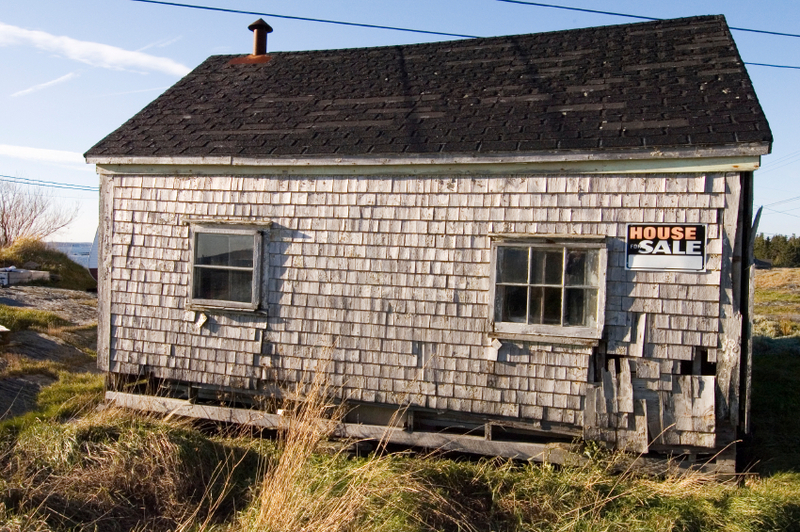 First, let’s draw a line to differentiate a quick fixer upper and a total rehab. A fixer upper is a home that is structurally sound and only needs some cosmetic changes to bring it up in value. This can include paint, new carpeting or refinished floors. It also can include non-essentials like updated kitchen cabinets or lighting fixtures—essentially things you can do yourself, if you’re handy, that won’t require a lot of heavy lifting. A rehab project is a lot more than that and can include everything from roof replacements to repairing water damage and replacing electrical components. Somewhere between the two is changing the structural layout of the home to be more open, which likely involves contractor work and permitting but won’t make the house leak or catch on fire if it doesn’t get done. Perhaps the best way to understand it is this: if you can live in the home safely and comfortably while you’re doing work, chances are it’s a little fixer job, not a full scale rehab. If you will have to go to great strides to inhabit a property before it’s more than halfway finished, it’s leaning towards a rehab. All of this goes to say that when you buy a home with the anticipation of doing work on it, there are risks and rewards associated with each. While the term fixer upper is pretty widely applied to homes that need renovation before they will be up to snuff for most buyers, the difference between something that needs a couple touches and something that needs its foundation redone is huge. The closer you tread towards the rehab side of the equation, the more risk and potential for expense comes with it (remember that Tom Hanks movie the "The Money Pit"?) When you’re shopping for any home, you should hire a professional inspector to come through and examine your property, and they should be able to give you an idea of what types of things may be wrong with your investment before you buy. There are benefits that come with buying a home that needs a lot of work however, and if you’re ready for the labor involved you can quickly grow an investment. Getting a home that requires repair opens you up to a less competitive, less expensive market with unique funding options (including mortgages that estimate and fund repairs as part of the principal). It can also mean rates, stolen copper, and unexpected outcomes. Rehabbing a property that you buy for, say, $60,000 in a neighborhood where homes regularly sell for $120,000 or $140,000 is a great deal, so long as you can get everything repaired for under $30,000 or $40,000. Not only will the home jump up in value by a great margin as it gets up to speed with surrounding homes, but it will appreciate regularly in value over time with the market and inflation, adding to your profit if you choose to hold onto it (either to live in or as a rental property). When it comes to choosing a project house, should you go with something light or go the full rehab route? First, consider your expectations. Once you know what your resources and level of commitment look like, you can start looking around for the investment that fits your wants and needs. Here are some other helpful tips to help you decide whether your fixer upper project will be worth the effort in the long run. Great article…also important to be familiar with the different loan options available ie 203k streamline or Fannie Mae Homestyle loans for cosmetic repairs vs 203k rehab loan for potentially more constructive repairs. Working w your mortgage rep will help determine which purchase may be better for you!